The charm of a dictatorship – Culture shock and everything in between. Burma is a beautiful country and it is very hard to find someone who will contemplate harming or bothering you (exception: government officials) but in the major cities of Yangon and Mandalay, people are simply everywhere. It is very claustrophobic and because until recently, tourists were so foreign on Burmese shores, locals are still not quite sure how to respond to visitors. I am somewhat short and I have a blonde boy’s haircut. Ben, my partner, is large with red hair and a beard – needless to say we stood out. I enjoy a good bargain and love the art of bartering – the thrill of getting 10 cents off a taxi or some tropical spices is sometimes too hard to resist. This process freaks Ben out. He is an honest man and a generous one too and he was completely beside himself when it came to negotiating for taxis or saying “no thank you” to the hundreds that asked us if we wanted a ride every 200 meters. In Burma, it is very hard to say no to such inviting and kind people, yet despite its beauty and charming dictatorship qualities, Burma, for all intensive purposes remains a third world country that has been isolated from the rest of the world for the better half of 50 years. 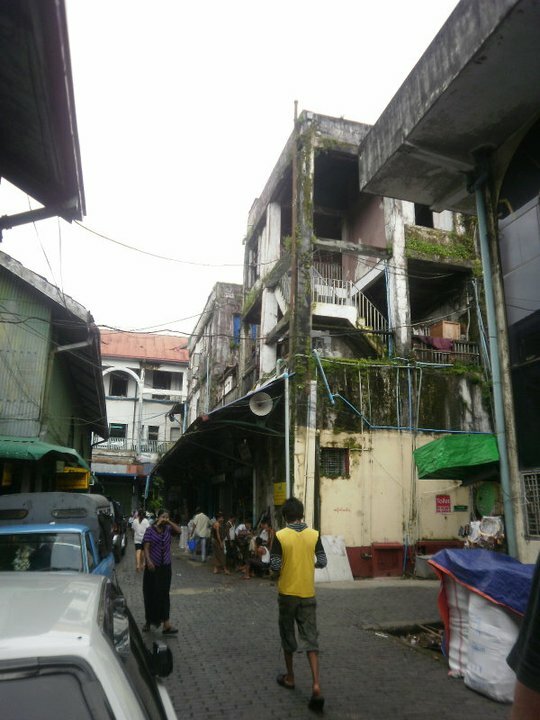 As a result, this influx of tourism is cause for many adjustments to the Burmese way of life and the Burmese peoples. Having visited many regions stricken with low employment rates, poverty and crime it was of no real shock to see similar trends throughout the colonial streets of Burma. I have witnessed many culturally “shocking” moments upon my travels including seeing streets piled so high with garbage in Cairo it is impossible to walk down them. A Cambodian woman once took a poo at my feet in a lavatory line at a bus stop and I have witnessed shameless chroming by 10-year-old boys on the streets of Kathmandu yet I fail to be distressed by these experiences. Ben however needed adjusting toward these cultural alterations. Perhaps we should have chosen a different destination for his first visit to a developing nation but I have always believed in being thrown into the deep end. After a short while we were not surprised by the stench of feces, the hoards of stray dogs following us or the unique features of our airport transfer vehicles. These are just some of the many enticing charms Burma has to offer and qualities that you really don’t wish to see change. Although there are government entry fees for almost every monument, park and building with colossal inflation rates that collectively cause more harm than good, it is possible to invest your money into the average citizen and not the military government, but do so with caution. It is absolute that a plain clothed, military agent will follow you from a somewhat inconspicuous distance whilst observing your every stop and transaction. Despite the slight privacy infringement and political shift ongoing in Burma, the people are unafraid of discussing their plight with foreigners and it is well worth finding out just exactly how the people feel about these changes to their country. For a nation left in the dark for so long, it is uplifting to witness the intellectual and understanding nature of its people who hold no resentment toward visitors and see a great future for Burma, tourism and its people. ← Queen no match for a King.